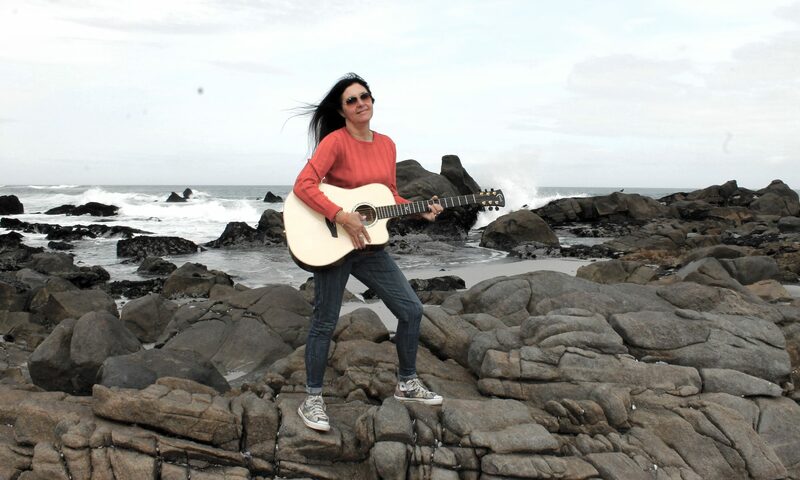 Sharon Clifton, Cape Town based singer songwriter, a gifted vocalist and one of a kind lead guitarist. The development of her unique style is the result of a lifetime of musical influence. Currently she is the lead singer and lead guitarist in the trio band B#Sharp. Sharon was born into a musical family and started playing guitar at an early age. In addition to a progressive solo career, she was female lead and rhythm guitarist in the popular band ‘Tuxedo’ for almost a decade. She still performs solo, but also gigs regularly as part of all girl trio rock band ‘No Stilettos’. She has recorded several solo albums including, ‘Diamonds in the rain’, ‘Still’, ‘Into the green’, and ‘Free’, which were all well received. She has also won a songwriting award for her song ‘Into the Green’ grabbing 2nd place at the Barleycorn songwriter’s competition. Her song ‘We’ll find the answer’ was runner up in the National Songwriter’s competition. Her song ‘Together’ was selected by Paramountsong of Nashville, as one of the 12 songwriters on the CD ‘Catch a rising star’. She is no stranger to performing at top national and international venues like Goldigger’s Saloon in Sandton, the prestigious De Waal, Mount Nelson and Cape Sun hotels in CapeTown and the five-star Hotel Tsel Horim on the Dead Sea in Israel.